This work has involved revising the previous MARNET estimates with the latest released data for that year from the CSO; fisheries and aquaculture data from Bord Iascaigh Mhara and shipping and cruise information from the Irish Maritime Development Office (IMDO) as well as SEMRU’s own survey data. SEMRU also provide estimates for 2017 in this release. 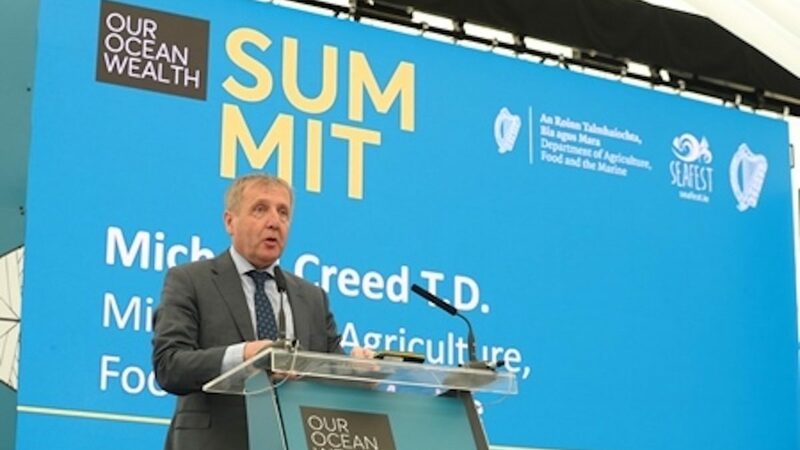 The updated figures indicate that in 2017, the direct economic value of Ireland’s ocean economy was an estimated €1.97 billion or approximately 1% of gross domestic product (GDP), which represents a 21% increase on 2015 figures. The 2017 estimates also suggest that our ‘blue economy’ continues to grow at a faster pace than the general economy. “The latest figures indicate that Ireland’s ocean economy continues to see substantial growth across both established and emerging marine industries. 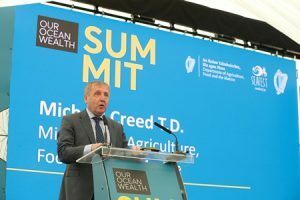 While 2016 saw a large increase in activity in the oil and gas industry on the back of Corrib coming on line, more recent growth in 2017 is being driven by strong performances in the aquaculture, sea fisheries, shipping and marine tourism industries as well as continued growth in the emerging ocean industries”, reports Dr Stephen Hynes, coordinator of the EU Interreg MOSES project. The indirect economic value in 2017 amounted to €1.75 billion, with a total direct and indirect value of €3.71 billion, which represents 1.85% of GDP. The ocean economy provided employment to over 32,500 individuals, full-time equivalents (FTEs) in 2017. Established Marine Industries had a turnover of €5.1 billion and provided employment to 30,000 FTEs in 2017, representing 92% of the total turnover and 93% of total employment in Ireland’s ocean economy in 2017. Oil and gas exploration and production, marine aquaculture and tourism and leisure in marine and coastal areas, all experienced a significant increase in activity, with turnover, GVA and employment increasing across the sector in the 2015-2017 period. In line with an estimated increase in tourism activity generally in Ireland it is assumed that the tourism in marine and coastal areas increased by 6.7%. The shipping and maritime transport sector also exhibited increases, as seen by the 6% increase year on year in the Irish Maritime Development Office (IMDO)’s i-ship index in 2017. The i-ship index is used by the IMDO to gauge the health of the Irish maritime industry. Emerging Marine Industries had a turnover of €398 million and provided employment to of over 2,000 FTEs representing 8% of the turnover and 7% of employment in Ireland’s ocean economy in 2017. The emerging industries include advanced marine technology products and services, maritime commerce, marine biotechnology and bioproducts and marine renewable energy. Commenting on the figures, the Minister for Agriculture, Food and the Marine, Michael Creed T.D., welcomed the positive growth trends in Ireland’s Blue Economy and outlined the Government’s continued commitment to the ongoing implementation of Ireland’s Integrated Marine Plan – Harnessing Our Ocean Wealth.